My Place: Within or Without? 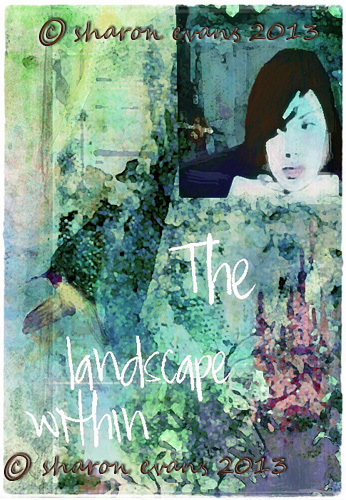 Here is a question - Is the landscape within us the landscape outside of us? Your layers add such a feeling of mystery! Woooah! Thats a bit deep :) I'm not sure.... I will ponder that one, had a lonng week at work so my brain is on strike atm :). Love your piece, is it watercolour and collage? Gosh a very interesting piece, and I hope your shoulder is on the mend now. Happy PPF. Hi Sharon. I would say landscape is always within us or maybe both. We are able to create so much in our minds. Great work, composition and lovely colours. Big hugs.